chapter 9 : The joint-use of Shinto Shrines by underground Christians | Light and Shadow: Christian History, Resurrected. Hidden Christian Sites in the Nagasaki Region. After the battle of Shimabara, the villages of Amakusa continued to be laid to waste. The rebuilding began soon after a new feudal lord was installed. Some of the villages that did not participate in the insurrection were able to secretly pursue their faith. 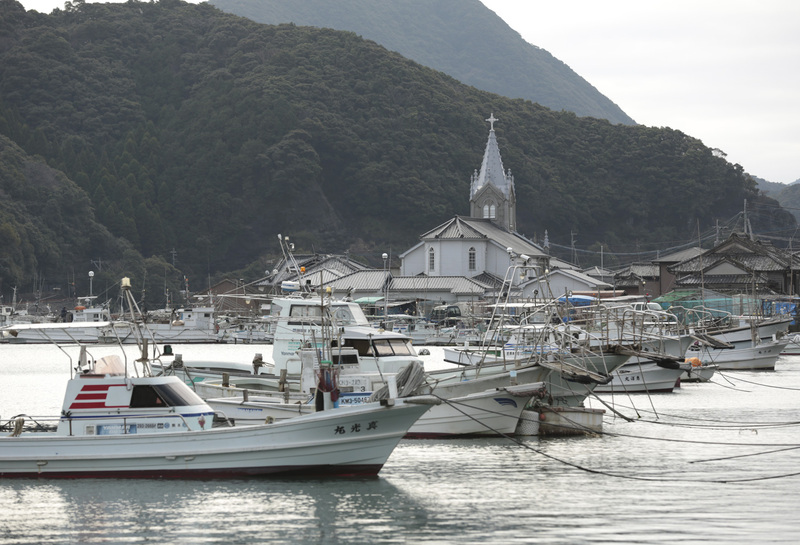 In the present day, tucked away in a little bay, there is a beautiful church looking over the Sakitsu village. 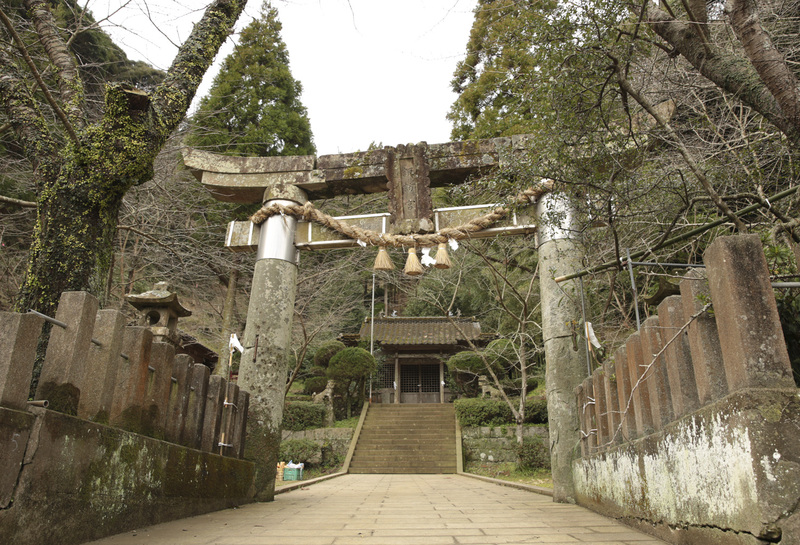 In an era of banned Christianity, the people of this community, were able to pursue their faith because they chose to use the local Shinto shrine as a place of Christian worship. After the battle of Shimabara, the many villages of Amakusa that had joined in the battle were laid to waste, as were the villages of the Shimabara Peninsula. A new feudal lord was installed, and the people were called back the to develop new agriculture and rebuild the Tomioka castle. After this, Amakusa became an area directly controlled by the bakufu (shogunate). Included in the reconstruction were the addition of many new temples. An edict was created, requiring all people to become parishioners of their local temple. At these places, regular inspections that called for people to trample a tablet bearing Christian images, were held. This strict ban on Christianity was enforced into even the private lives of the common people. In this era, such a ban on religion was not limited to Amakusa. The bakufu (shogunate) placed such a ban throughout all territories in their control. Nevertheless, there was one area in which Christianity was able to survive, be it in a secretive way. 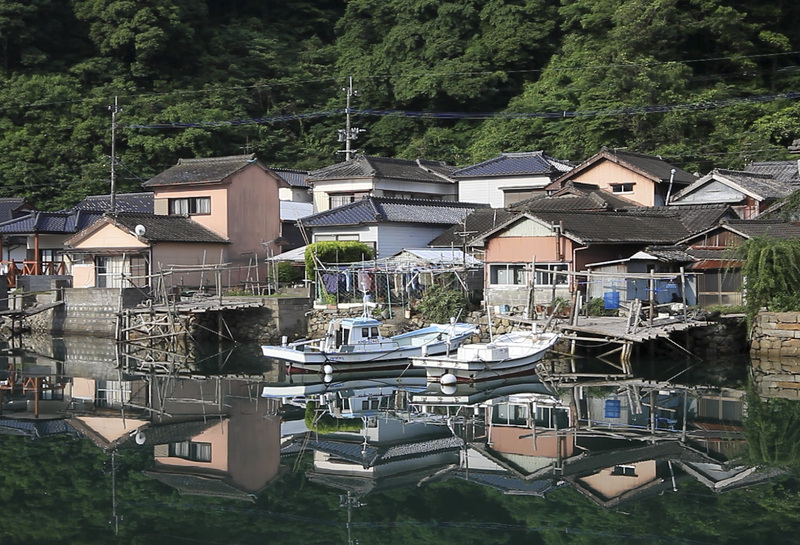 The community of Youkaku Bay deep in the Amakusa archipelago, is one such place where Christianity survived. As it was the Edo period, travel by sea was the only option and this caused the community to be isolated. Without outside travelers coming and going through the area, the underground Christians were able to practice their faith, being baptized, singing “orasho” and handing down their beliefs, all the while, wearing the facade of practicing Buddhists. A unique form of their laymen-taught faith was created, in which the village elder, called the “miza-kata” was deemed the leader of the faith. This leader would perform baptisms on newborn babies, and even perform what seemed to be Buddhist rites for funerals but which were in fact Christian rites. 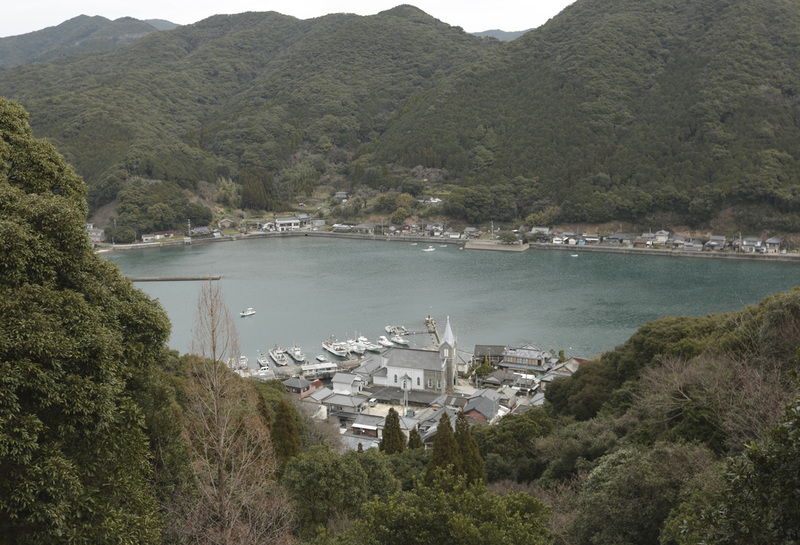 While the underground Christians of Sakitsu believed in the sanctity of certain abalone shells, sen (coins of low value) and mirrors, they also took great care of the Shinto shrine built atop of the hill, over looking the community. There is a record that states that when Christians would visit the shrine, they could be heard to say, “anmen riyusu” or “amen deus.” In this manner we can see how they were able to mix their faith with the shrine to be able to exist. In 1805, beginning with Sakitsu, Imatomi, Ooe and Takahama were 4 villages investigated by a religious census. The Nagasaki magistrate’s office had informed the bakufu (shogunate) that these townspeople were gathering at night and doing strange things before the shrine altars. As a result, approximately 5000 people were exposed. Fortunately, these people were not prosecuted as “Kirishitans” (hidden Christians) but rather “mistaken or confused” individuals. The government official involved must have known that these people were Kirishitans but chose instead to redirect the facts of the case and conclude the matter quietly. The people exposed in this matter were exiled in their towns, and never allowed to leave. The sacred items were seized and removed. The bakufu nor the magistrate’s office pursued the issue and Amakusa was able to continue in it’s concealment of Christianity until the reformation of the Meiji period. In the Meiji Period, as the ban on Christianity is lifted, a church was built next to the Sakitsu shrine. Later on, Father Halbou, a French priest, purchased the mansion previously owned by the village head. This was the site for many inspections that called for people to trample a tablet bearing Christian images. In 1934, the mansion is torn down and a church is built on the property. The architectural design and construction was overseen by Testugawa Yosuke. The design is unusual for a church because the outside is of a gothic design but the inside has straw mats or “tatami,” on the floor. Here, the mix of Western and Japanese styles are a feature that reflect the people’s history. The altar within this church is located in the exact place where people were previously expected to trample a tablet bearing Christian images. After 250 years of forbidden faith, and adapting to the circumstances, we can now experience the will of the believers to stay strong and pass on their faith.